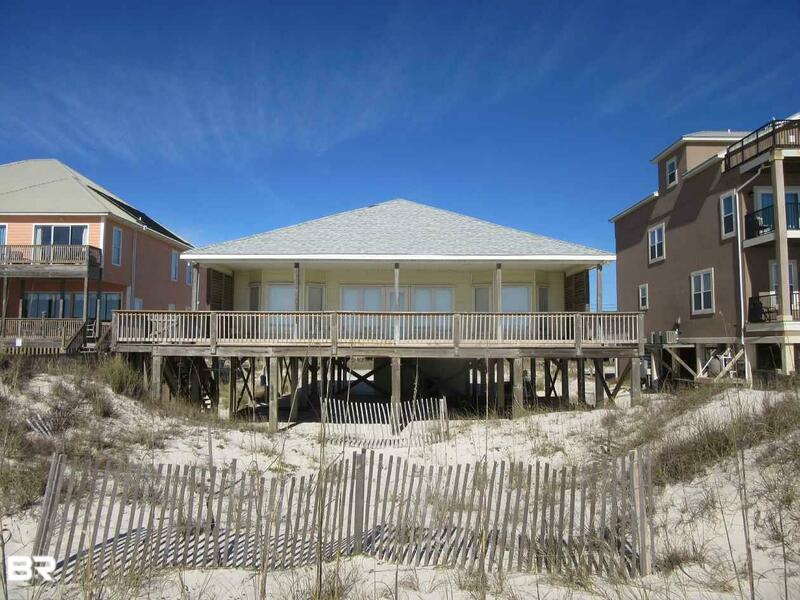 DIRECT GULF FRONT WELL MAINTAINED BEACH HOUSE! Never Rented! 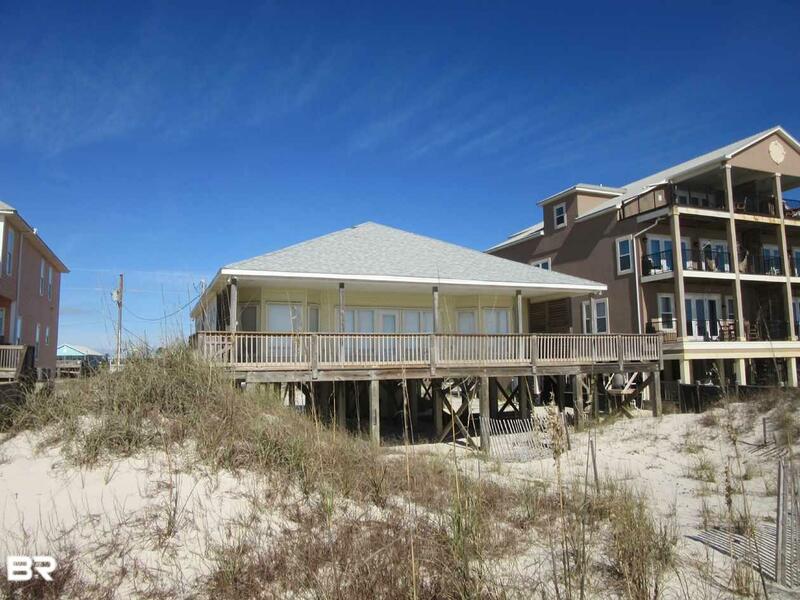 Also 24' x 44' two level gulf front deck which a POOL would fit facing gulf. Very rare to have space for gulf side pool. 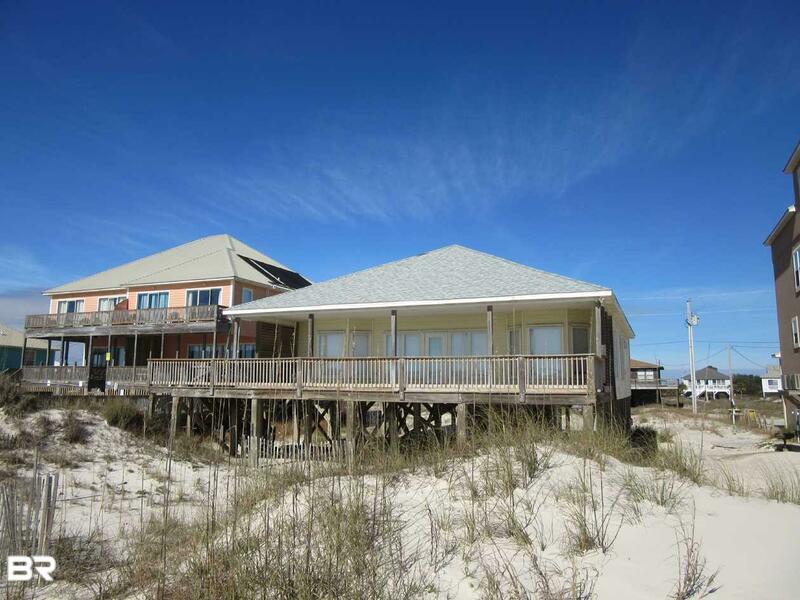 Large open Living/Dining/Kitchen with island with laundry off kitchen & half bath off Living. Dining area has bay windows looking at gulf. Split bedroom floorplan with two bedrooms & bath on one side and large Master Suite with bay window sitting area. Master Bath has double vanities, tub, separate shower & walk in closet. Covered Entry and outside storage. Deck has been re-enforced. A/C 7 years/Roof 2 years/Hurricane Shutters. Make this one yours! 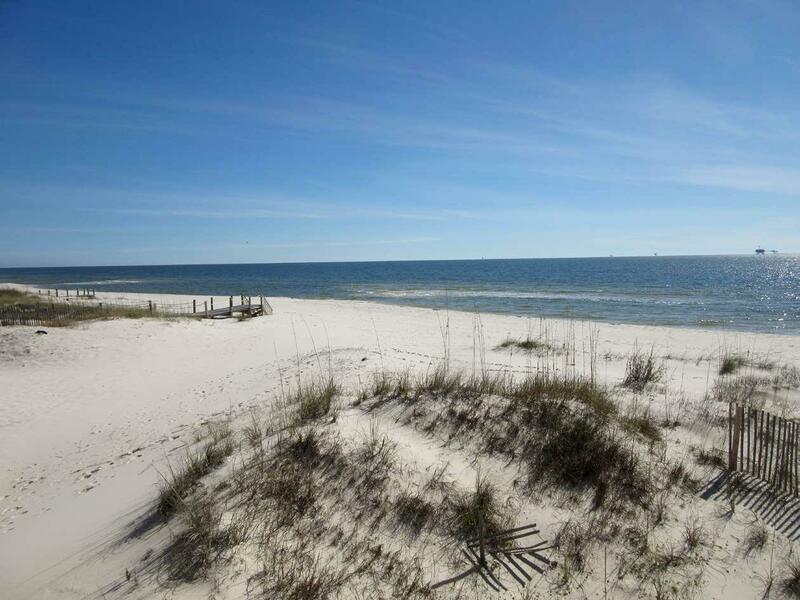 Near World Class Golf, Marina, Charter Fishing, Restaurants, Ferry and Historic Fort Morgan.